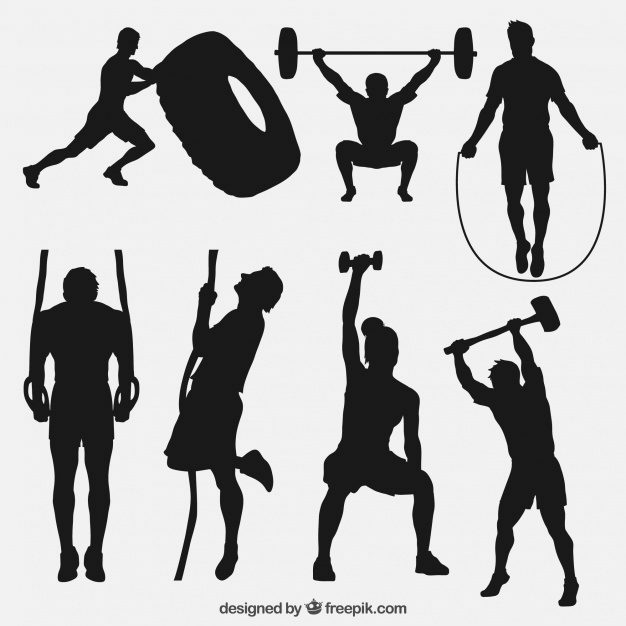 Crossfit Doctor: As a doctor of chiropractic (DC), I treat my share of sports injuries. Some come from CrossFit, but we also treat runners, golfers, soccer players, basketball players, football players, wrestlers, etc. There is danger in all sports. Indeed some are more dangerous than others, but ultimately it is up to each to assess their risk/reward ratio and decide what a good fit for them is. Athletes can experience many different benefits from receiving chiropractic care. Adjustments help when treating injuries from high-impact sports such as wrestling, football. But they offer other benefits as well. Research has shown that high-impact sports can place the same amount of strain on the body as an auto accident. Athletes that get routine adjustments may notice improved athletic performance, better range of motion (endurance athletes), improved flexibility, increased blood flow, and suffer fewer injuries. Because spinal adjustments reduce the irritation of nerve roots between the vertebrae, healing time for minor injuries can be shortened, which improves performance. High-impact and low-impact athletes can benefit from regular spinal adjustments. For the high-impact athlete, it increases performance and flexibility and lowers the risk of injury. For the low-impact athlete (golfers, tennis players, and bowlers), routine adjustments can help relieve the strain placed on the body. Chiropractic offers a natural way to treat and prevent many different injuries and conditions that plague athletes. Shoulder pain – The British Medical Journal found that shoulder manipulation improved the outcomes and reduced pain associated with specific shoulder injuries. Active Release Technique where massage and stretching combined with moving the affected joint through a range of motion. A DC or CrossFit doctor who specializes in treating athletes is prepared to handle the whole person and tailor a program aimed at injury prevention. Initial evaluations should include traditional orthopedic tests, neurological examinations, and consideration to supplement physical exam findings with any additional diagnostic assessments. Numerous studies support the fact that chiropractic care helps athletes achieve optimal performance. The spine is one of the most critical physical structures that contains many pain-sensitive tissues: Joints, muscles, nerves, discs, and ligaments. Any abnormal alignment patterns in the spinal column can place an unusual amount of stress and strain on any of these tissues. In a recent article reviewing the effectiveness of spinal manipulation, chiropractic adjustments were consistently better than other medical options. It’s done by reducing the intensity of acute low back pain and restoring normal function for short and long-term effects. Most people conclude that a person visiting a chiropractor is doing so for problems with their back or neck. And most people do visit the chiropractor for these reasons. However there is research that people are reaching out to D.C.’s or Functional Fitness Doctors for other treatments with their muscular-skeletal system, and many of them are young athletes. Being fit and maintaining a certain level of fitness involves pain. Fitness is both anabolic (building) and catabolic (breaking down) process that occurs in tandem in our muscles and joints. As one enters the weight room or take the first stride of a run, the natural response of physiology takes over, and not even professionals are immune to the risk of potential injury. It is not uncommon to see athletes or elite trainers with muscle or joint issues. They spend countless hours training, building and breaking their bodies down to become exceptional at performing sport specific muscle patterns. Pain is inevitable when pushing your body through physical barriers of performance. It happens to everyone; you’re not alone. Someone new to a sport or physical activity, pain can be a factor that creates self-defeating thoughts and makes them not want to continue. This type of pain is something that humans are not comfortable having. Muscle soreness lasts a few days, but walking with the soreness for a week after intense leg day can leave emotional wounds. Someone new to exercise associates exercises with pain, which often leads to not wanting to work the training regimen. A simple solution to this problem is to be patient with your body. Individually, we all require a different amount of time and effort to recover from specific physical breakdowns. Have faith in the process and develop a team around you of fitness professionals, doctors and a chiropractor (CrossFit doctor) who you trust. Most importantly, stay focused on the goal!